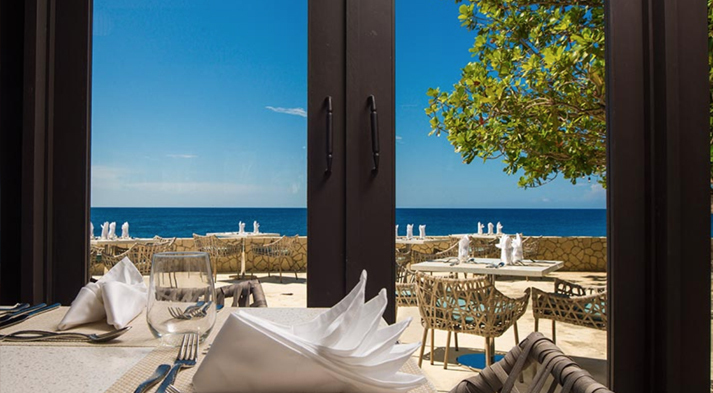 Negril is known for being the ‘Capital of Casual’ but casual doesn’t mean that that excludes a luxury stay which a boutique hotel often offers. 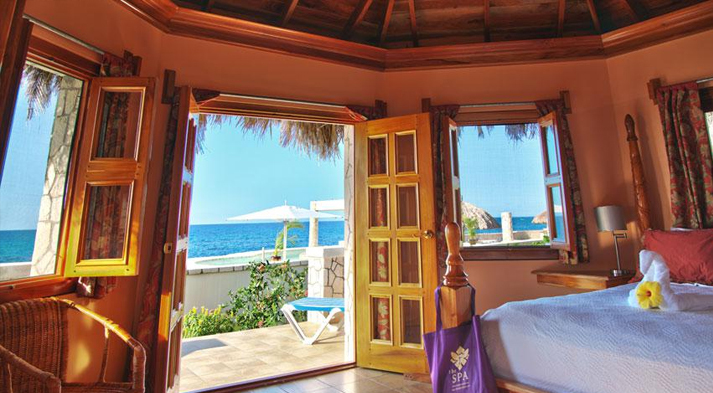 Some of the most sumptuous accommodations on the west end of the island sitting on both the famous 7 mile stretch of white sand and the volcanic rock cliffs of the west end. All offer views of the stunning world famous Negril sunsets but some just have that extra something that can take your vacation in Jamaica to a whole new level. Set right on the beachfront of the famous Negril strip, this intimate boutique hotel boasts private, luxurious, vast and superbly designed accommodations with endless beach fronts views, wrap-around terraces or balconies, impeccable amenities and absolute indulgence. 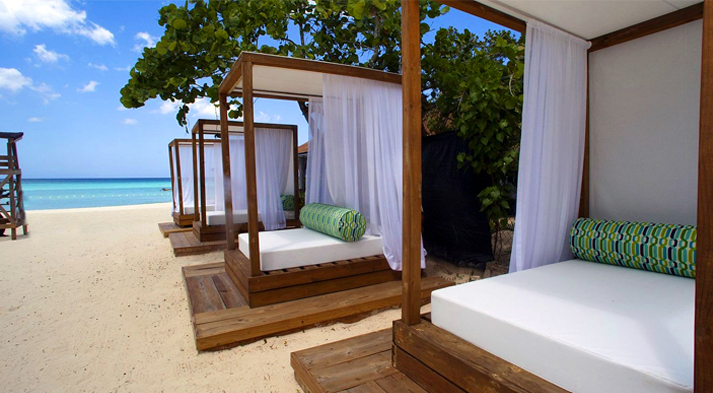 Cabanas on the beach, an onsite beach bar, grill, restaurant, gym and spa help make this property a true oasis. Set back from the road across from the beach in the midst of tropical gardens and flowering plants at the far end of the beach of Negril, this unique all-inclusive resort is an intimate hideaway. Praised by Architectural Digest, the wooden bridge walkways lead to 85 “tree-house-style,” elegant guestrooms. Enjoy the onsite spa, bar, 5 acres of beachfront property spanning two miles of white sand beach. Choose from four restaurants and bars and lose yourself in luxury at this family owned and operated resort. The adults-only hotel has you waking up to stunning ocean views in 12 unique rooms set high up on the cliffs on the west end road in Negril. The unmistakably Caribbean themed rooms and villa embrace the stone and wood of the island and are decorated in the bright colours of the island. Step out to private views above the network of caves below which give this hotel its name. 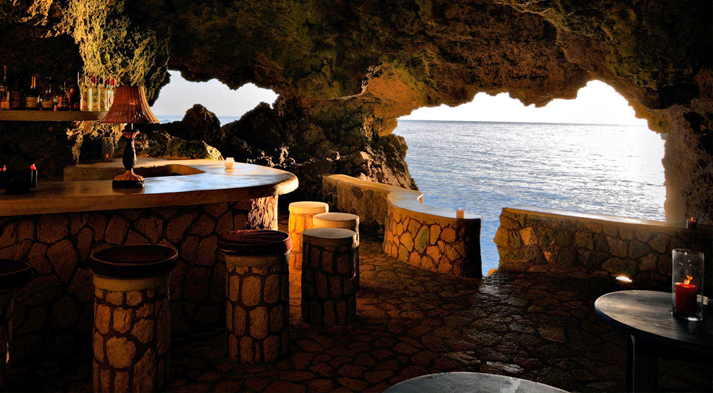 Deep inside those caves sits the Blackwell Rum Bar as well as two private unique dining experiences where many a proposal has happened as well as wedding banquets. The spa, jacuzzi, onsite restaurants, saltwater pool and Sands Bar makes every guest feel like there is no need to ever leave the property. A serpentine pool seemingly disappears into the horizon, offering an open invitation to take a dip at the edge of the cliffs in Negril. 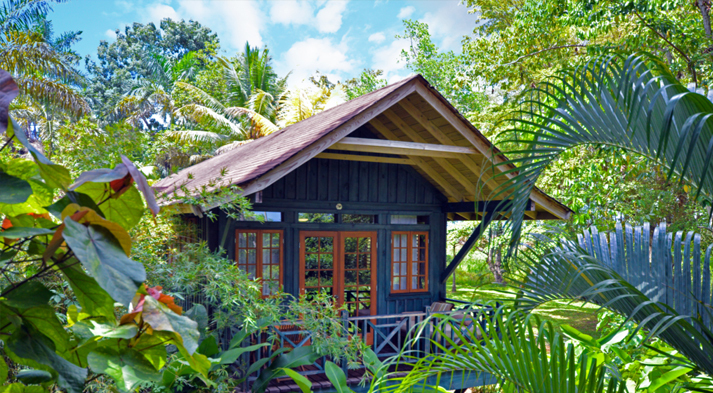 Nestled among five acres of lush gardens this exclusive hotel is the perfect blend of authentic Jamaican hospitality and modern luxuries. With only 22 suites and 4 private villas, a world-class restaurant, yoga pavilion, saltwater pool, fitness centre, and its own beauty salon and Spa, The Cliff Hotel is a unique getaway for a solo vacation, group getaway, or a romantic spot for a destination wedding along with your loved ones. Achieving a fine balance between modern technology and the rustic appeal of Negril, The Spa Retreat embraces and offers the best of authentic Jamaican culture. 18 Handcrafted stone cottages with spectacular tropical gardens and cliff side organic dining enhance your Spa escape. The Spa Retreat features a full-service luxury day spa offering classic aesthetic treatments with a Jamaican flair. The adults only, Spa Retreat features a seawater pool, right beside a great spot to leap into the blue waters below. Laze in the hammock, indulge in the spa and tan on the sandy beach deck, while in the rooms enjoy the amenities of air conditioning, wireless internet and in-room safe, or partake in yoga and speciality tours.